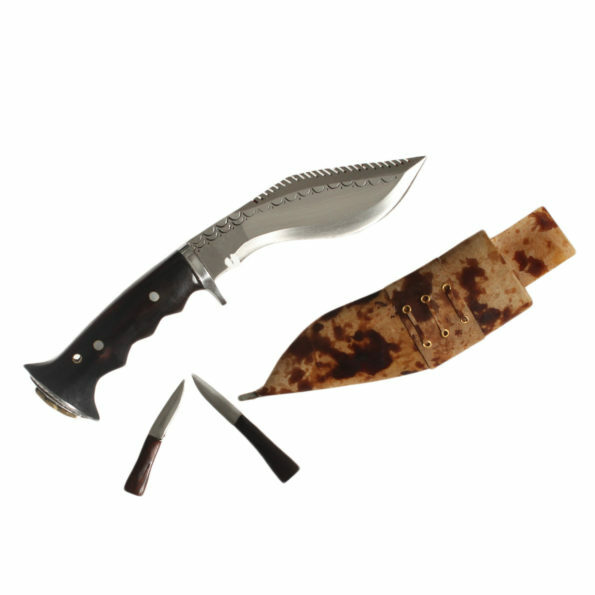 This is the 6 inch Dragon kukri, it has one of the most comfortable handles. The Grip of the handle is ergonomically forged to fit any sized hand making it easier to hold the Knife. 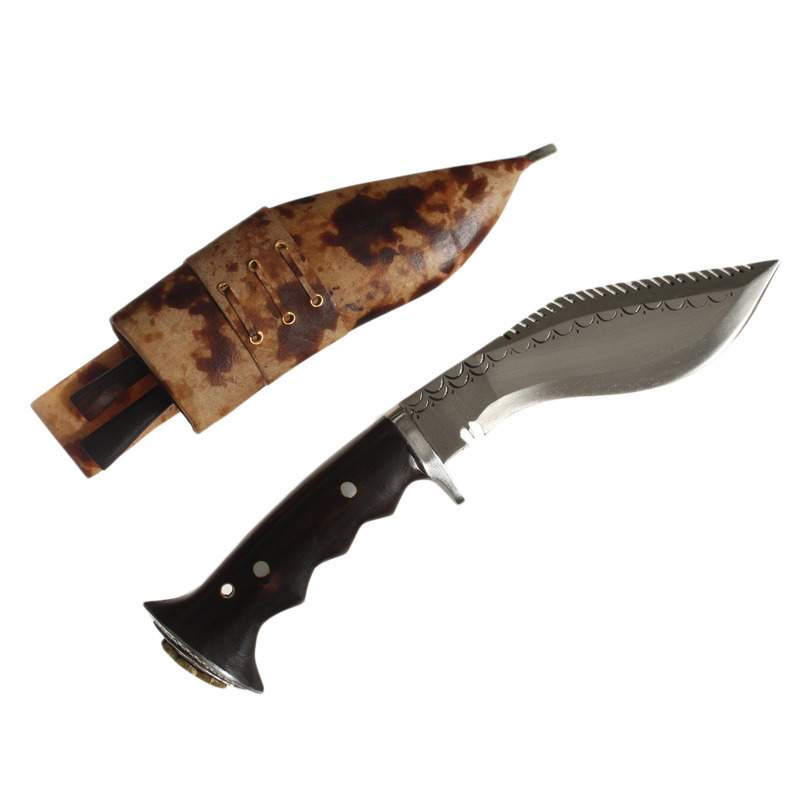 The Dragon Khukuri is a full tang knife which features the stunning rosewood for the handle material which is secured in place with two rivets and the traditional Nepali glue, Laha. The length of the blade is 6 inch and handle is 4.5 inch, giving an overall length of 10.5 inch. 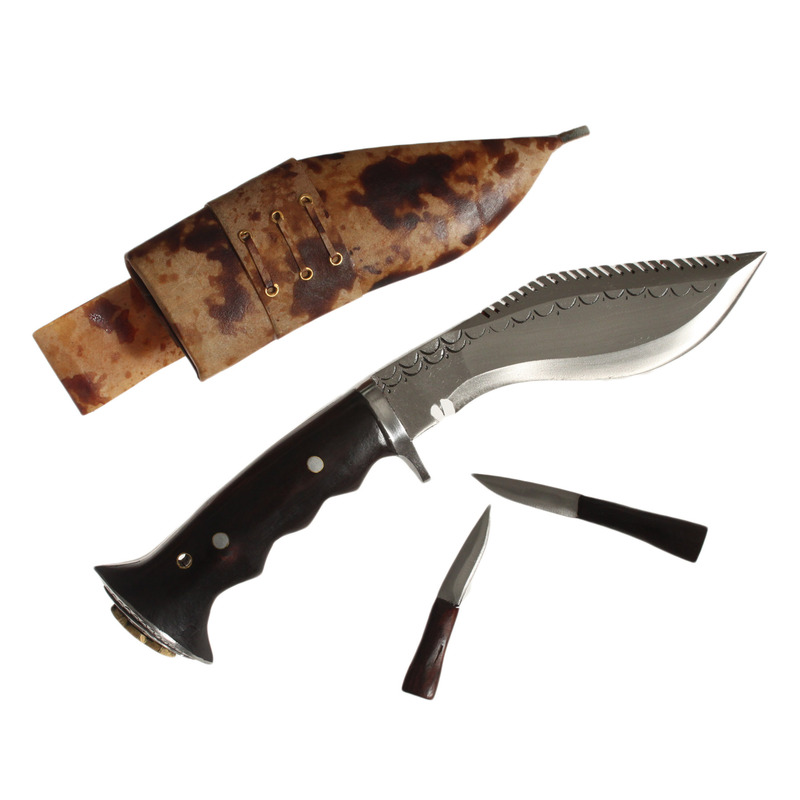 The Khukuri comes with two small accessory blades that are used for polishing and sharpening along with a water buffalo leather and pinewood scabbard. Weight: 985 gms (35 oz approx).